Examples to show how to use implicit differentiation. The following diagrams show the steps for implicit differentiation. 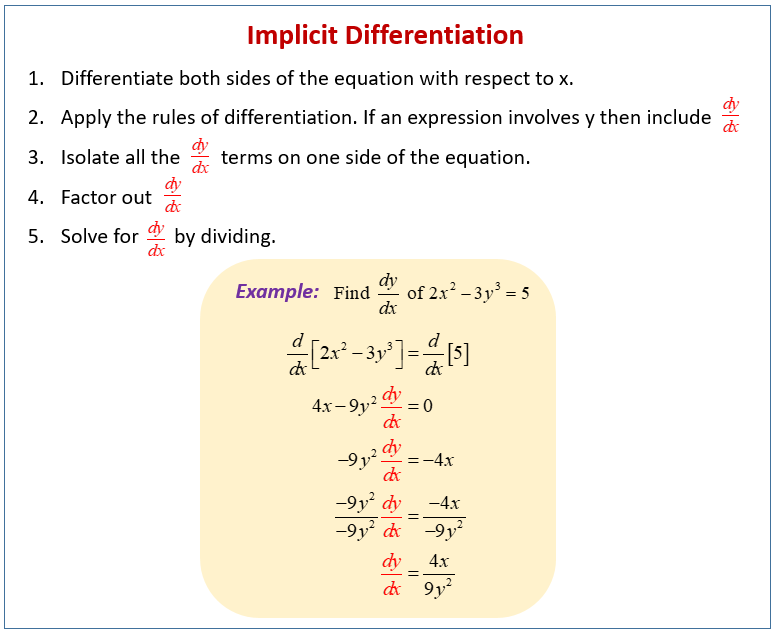 Scroll down the page for more examples and solutions on how to use implicit differentiation. Find dy/dx. Then find the slope of the tangent line at the given point. An example of finding a tangent line is also given. 2. Find the equation of the tangent line at (1,1) on the curve x2 + xy + y2 = 3.